Preferred Corporate Housing wins the Best Community or Philanthropic Award for 2018 by the corporate housing industrys trade organization, Corporate Housing Providers Association (CHPA) in Las Vegas. This award recognizes Preferred Corporate Housings long committment to philanthropy thru its PCH Charity Helpers Program. PCH donates to client charities of their choice for each month of housing stay with our company. Preferred Corporate Housing, a leading provider of temporary lodging solutions in more than 72,000 North American destinations, has been shortlisted for the Forum for Expatriate Management's (FEM) annual EMMA Award for " 2017 Corporate Housing Provider of the Year"
The Corporate Housing Providers Association (CHPA) is the professional trade association exclusively dedicated to supporting corporate housing professionals and expanding the corporate housing industry around the world. CHPA's Company Accreditation Program was designed to recognize and elevate companies who have proven their legitimacy, professionalism and commitment to industry best practices and ethics when providing corporate housing services. CHPA announced last week that Preferred Corporate Housing, a national corporate housing provider servicing more than 72,000 locations across North America, would be the first to achieve the 'CHPA Accredited Company' endorsement. 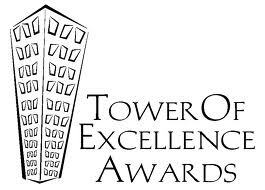 The Tower of Excellence awards recognize success and achievement from within the corporate housing industry's more than 300 member companies and their associates. CHPA members from around the world come together to honor their peers and industry leaders. Preferred Corporate Housing's President, Samantha Elliott, was honored to be named as this year's Tower of Excellence Award winner for 'Volunteer of the Year.' This award acknowledges leadership and service dedication, and recognizes an outstanding members who lend themselves to service and expansion of CHPA and the corporate housing industry. Preferred Corporate Housing listed as one of the Largest Woman-Owned Businesses in Houston. The Houston Business Journal released its annual "Largest Woman-Owned Businesses" list earlier this month. This list includes the top 25 Houston-based companies that are at least 51 percent owned by women. Preferred Corporate Housing is pleased to have been listed as the 17th Largest Woman-Owned Business in Houston according to HBJ's rankings. "Corporate diversity plays a significant role in our day-to-day partnerships and transactions. We seek out diverse suppliers and sub-contractors to help us service our national corporate housing clients, so it is nice to be recognized because of our ownership diversity as well," said Samantha Elliott, President of Preferred Corporate Housing. PCH is proud to be listed as one of Houston's Best Places to Work for the 6th consecutive year! The Houston Business Journal released its annual "Best Places to Work" rankings this month, and PCH was once again included! Only 105 companies were honored with the title this year. The rankings released by the Houston Business Journal were compiled in partnership with Quantum Workforce Solutions, and were calculated from team-member responses to employee satisfaction surveys. "We are so excited to celebrate our 6th year on the list," said Megan Margetusakis, Director of Operations for Preferred Corporate Housing. "We've built a great team and an environment where hard work is consistently rewarded. Its ultimately our clients who win from an award like this," said Margetusakis. "If our team is happy, they make our clients happy!" The Houston Business Journal released its 15th annual "Best Places to Work in Houston' list last month, and for the fourth consecutive year, Preferred Corporate Housing was included in this prestigious list. More than 800 corporate attendees gathered in October 2015 to recognize the 100 companies who made this year's list. PCH was honored as one of the top 3 corporate housing providers at the Forum for Expatriate Management's (FEM) annual EMMA awards black-tie gala, receiving "Highly Commended" honors from the judging panel. The annual Americas Expatriate Management and Mobility Awards (EMMAs) winners, were decided by a prestigious panel of sixteen judges from within the relocation industry, including Human Resources, Talent and Mobility Managers from corporations around the world, including several Fortune 100 and 500 companies. The Awards, were created to celebrate excellence in global mobility worldwide, and are the only international accolades that truly recognise industry leaders, business successes and rising stars, and we are thrilled to de nominated! Preferred Corporate Housing wins The 2015 Tower of Excellence award for "Provider Member/Company of the Year - Over 300 Units"
Preferred Corporate Housing was announced as the Tower of Excellence "Company of the Year (Large Provider Member)" award winner by the Corporate Housing Providers Association (CHPA). CHPA is the professional trade association exclusively dedicated to supporting corporate housing providers around the world. CHPA selects award winners based on scored evaluations by reviewing things such as creating unique client programs, national/local contributions to the growth of the industry, Guest Satisfaction, collaboration with Associate Partners and financial excellence. This achievement puts PCH in a select field, especially considering there are nearly 7 million private, employer-based companies in the U.S.A. The elite group PCH is now a part of has, over the years, included companies such as Microsoft, Timberland, Vizio, Intuit, Jamba Juice, Oracle, and Zappos. 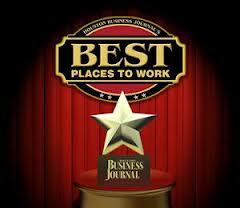 The 2012 list of 'Best Places to Work' is released by the Houston Business Journal at their annual luncheon event in October where honoree rankings are officially announced. Of the 80 companies selected to make up this year's list, Preferred Corporate Housing has been included as an honoree. Samantha Elliott, President of Preferred Corporate Housing, was honored with the Tower of Excellence award for 'Large Provider, Individual Member of the Year.' This award is given to an outstanding employee, executive or owner who maintains more than 300 corporate apartments, and who has demonstrated commitment and excellence within their company and the corporate housing industry as a whole. Preferred Corporate Housing CEO, Samantha Elliott, CRP, CCHP, was awarded the Houston Business Journals award of top 40 under 40 for 2011. This award highlights the top 40 CEO's in Houston under 40 years of age. Samantha credits much of her success to the outstanding team at Preferred Corporate Housing. Preferred Corporate Housing CEO, Samantha Elliott, CRP, CCHP, was nominated to the Board of the Corporate Housing Providers Association for 2011. Preferred Corporate Housing was nominated by pur peers for the Corporate Housing Providers Association (CHPA) Corporate Housing Provider of the Year 2010. The nomination was in the "large market" provider class for corporate housing companies that maintain a unit base of over 300 furnished apartments. Amy Ducharme and Tamera Kritzler, a PCH Account Management team, have won the "Cut Above the Rest" Award for the Virginia market. This award was presented by Apartment Outfitters/Convenient Housewares for maintaining an exceptional client/vendor relationship and for offering outstanding business growth opportunities. Preferred Corporate Housing's managers have earned the relocation industry designation of Certified Relocation Professional (CRP) which is awarded to those individuals who have mastered extensive knowledge on the principles and practices of relocation by the Worldwide Employee Relocation Council (ERC). Preferred Corporate Housing's management has been one of the first in the corporate housing industry to earn the accreditation of Certified Corporate Housing Professional (CCHP) which is awarded to outstanding corporate housing professionals by the Corporate Housing Providers Association (CHPA). Preferred Corporate Housing has been awarded the Operation Noble Eagle Commander Medals by the commanding officer for outstanding service in providing military off-base accommodations for the task force soldiers. Preferred Corporate Housing has been awarded a replica artillery cannon by the commanding officer of the 135th Field Artillery Brigade which is a symbol of the strength of the brigade. This award was presented at an end of assignment awards ceremony whereby Preferred Corporate Housing was praised for our outstanding commitment to our military soldiers at the end of the unit's mission ceremony of Task Force Guardian.